The centre point of the deformity is the talus bone of the ankle (in Latin, talus = ankle) and pes = foot, hence the name "talipes"). 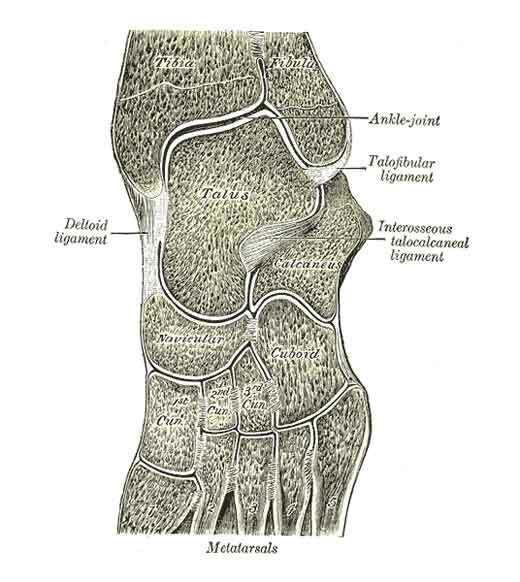 The talus is malformed and is malpositioned relative to the adjacent calacaneus, cuboid and navicular bones. There is associated thickening or shortening of local fascia, joint capsules, ligaments, tendons and muscles. The condition may be unilateral or bilateral. It is more common in boys. 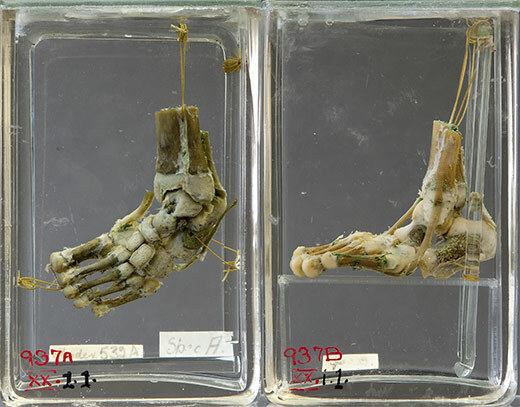 Various possible pathogeneses for club foot have been proposed, ranging from local derangements of talus formation or tendon attachments, to neurogenic events such as in-utero stroke or pre-natal polio-like illness. Most infants have no identifiable cause. Some cases are due to underlying conditions such as spina bifida, multiple birth defect syndromes or arthrogryposis (a rare congenital condition characterised by multiple joint contractures). In rare families club foot is inherited in an autosomal recessive manner. The recurrence risk in first degree relatives (siblings and offspring) of a sporadic case is approximately 2%. The anomaly may be detected in utero on ultrasound but there is no known prevention. Club feet can be corrected in about 50% of patients by gentle manipulation, splints and serial casts. Treatment must begin within two weeks of birth. "Resistant" club feet respond poorly or relapse quickly after conservative treatment, and require surgery. Surgery in these cases involves the lengthening or release of various tendons, ligaments, joint capsules and soft tissue. In older children bone reshaping may be necessary as well. A proportion of patients will have residual foot deformity and pain in adulthood.